Namesake: A city in northwestern Georgia. Originally called Terminus and later Marthasville, the community was renamed Atlanta when it was incorporated as a city in 1847. Since Atlanta served as the center of the South’s system of military supplies during the first three years of the Civil War, General William Tecumseh Sherman made her a main objective in his drive across the Confederacy to the sea. The city, which was almost completely destroyed by Sherman’s artillery during the siege in the late summer of 1864, was rebuilt with comparative rapidity during the Reconstruction period. Atlanta became the state capital in 1868 and has since grown into one of the South’s most important centers of industry, transportation, and finance. After completion of temporary repairs at Port Royal, Du Pont placed the prize in temporary commission on 26 September and sent her to Philadelphia where she was condemned by a prize court, repaired in the Federal navy yard, and commissioned again on 2 February 1864. Still bearing her Confederate Navy name while in the Federal Navy, Atlanta was assigned to the North Atlantic Blockading Squadron. 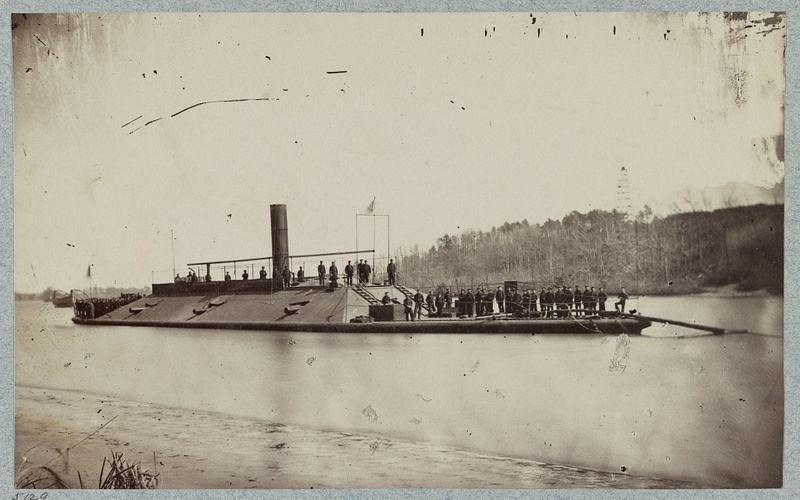 During most of her career under Union colors, Atlanta was stationed up the James River helping other Northern warships support General Grant’s operations against Richmond. 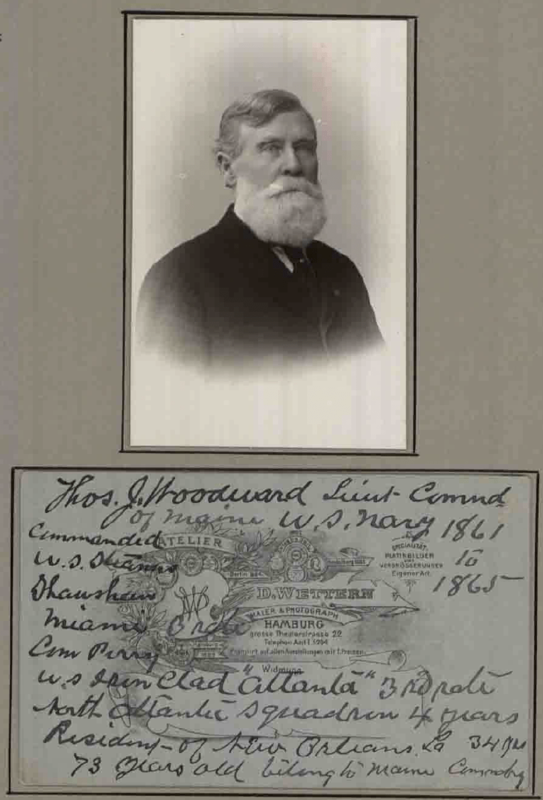 Under the command of Acting Lieutenant Thomas J. Woodward, her main service was to guard against a foray from the Confederate capital of the small fleet of Southern warships. On 21 May 1864, she and schooner-rigged screw steamer Dawn shelled Confederate cavalry which was attacking Fort Powhatan on the James. Their gunfire broke up the assault and dispersed the Southern troopers. After the collapse of the Confederacy, Atlanta steamed north to Philadelphia where she was decommissioned on 21 June 1865. She was sold at auction at the Philadelphia Navy Yard to Sam Ward on 4 May 1869. No record of her subsequent fate has been found.